Company: Asahi Kasei Synthetic Rubber Singapore Pte. Ltd.
Asahi Kasei Synthetic Rubber Singapore Pte. Ltd. (AKSS), a subsidiary of Asahi Kasei Chemicals Corporation, has built a plant on Singapore’s Jurong Island that produces 50,000 tons per year of solution-polymerized styrene-butadiene rubber (S-SBR), a type of synthetic rubber that is used in green tires to improve fuel efficiency and performance. As the demand for S-SBR is rapidly growing due to increasingly strict environmental regulations and rising awareness of environmental issues, Asahi Kasei Chemicals has made it a priority to accelerate production of this key material. To automate production at this greenfield plant, AKSS selected Yokogawa’s systems solution that was installed by Yokogawa Singapore. The provided solutions included the CENTUM VP production control system (PCS), the ProSafe-RS safety instrumented system (SIS), the Exaquantum plant information management system (PIMS), the Plant Resource Manager (PRM) asset management package, and a variety of FOUNDATION™ fieldbus-enabled field devices. The successful installation of these systems for this new plant demonstrates how the Yokogawa Group can work as a best solution partner with its customers around the world to automate their plants. The main processes at the S-SBR plant are raw material and chemical feeding, polymerization, recovery, and finishing, along with utility processes. Polymerization is a continuous process that requires a reactor to operate continuously. To maximize efficiency at this plant, AKSS required a highly modern integrated production control system. With its sequence and PID functions, CENTUM VP automates many complicated procedures. From the high-performance, ergonomically designed human machine interface (HMI) terminals, operators can access process, trend, alarm summary, operator guidance message, and other displays that convey large amounts of data in an easy to read format. This gives operators the information they need to identify problems before they reach a critical state and act with agility. 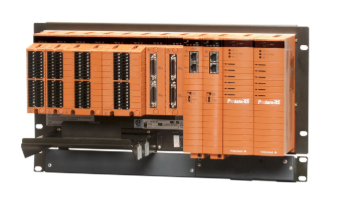 To ensure safe plant operations, ProSafe-RS's emergency shutdown and fire & gas detection functions are fully integrated with CENTUM VP, allowing plant operators and engineers to monitor operations throughout the plant using uniform instrument faceplates. The sequence of events (SOE) function in ProSafe-RS also enhances safety by facilitating the detailed analysis of process upsets and the identification of problem causes. 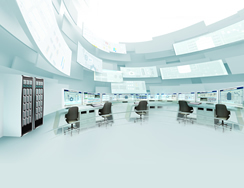 For added efficiency, it is possible from the same engineering platform to make modifications to both the PCS and the SIS that can be downloaded at any time to the individual control stations. This reduces engineering workload. AKSS is continually striving to introduce the latest technology at this plant to improve its operations improvement and reduce both capital expenditure (CAPEX) and operational expenditure (OPEX). For this greenfield S-SBR plant, AKSS decided to use Yokogawa FOUNDATION fieldbus devices and the PRM asset management package. During plant commissioning, PRM was used to check all control loops and the valves in each loop. With the plant up and running, the operators and engineers can use PRM's device viewer to monitor all field devices from the central control room (CCR). This reduces workload in the field and allows a preventive maintenance approach where maintenance can be scheduled and performed before a field device fails. In addition to enhancing maintenance efficiency, this reduces the likelihood of unscheduled plant shutdowns. Data on the plant's use of raw materials, chemicals, steam and water, and electricity needs to be clearly monitored and reported on a daily, weekly, and monthly basis. Via an ExaOPC interface, the Exaquantum process information management system (PIMS) gathers plant data from the CENTUM VP production control system to generate a variety of reports on the polymerization process. Exaquantum makes it possible to view historical trend data for specific time intervals, so operators and engineers can analyze polymerization processes performed using different recipes. Exaquantum can also perform calculations that show plant performance rate and efficiency, and identify how efficiently utilities like water, steam, and power are being used in the plant. From Exaquantum clients at various locations, analysts and engineers have ready access to data on plant operations. Operators at the HMIs in the CCR can also view production data on a large 65 inch screen, giving them real-time access to all the information they need to promptly take the right action whenever intervention is required. Shuji Yahiro, plant general manager of the AKSS, had the following three points to make about the systems installed by Yokogawa. "First, operators appreciate the HMI's ease of use. Thanks to the ergonomic design of the CENTUM VP HMI, operators enjoy access to large amounts of process data and are able to monitor and run operations throughout the plant with a minimum of stress. Engineers can easily make modifications such as changing set points. With a simulation function, they also can confirm whether a new configuration functions correctly. An on-line maintenance function is user friendly and new configurations can be downloaded to the control station without interfering with plant operations." "Next, the keys on the operator keyboard can call up trend displays, individual faceplates, a plant overview display, alarm summary, operator's guide message display, and other graphical displays. Certain keys are user definable. Using this keyboard, even newly trained operators can quickly call up the information they need to operate the system. Switching between displays is quick and smooth." "And finally, as we are always striving to introduce the latest process control technologies, AKSS decided to use FOUNDATION fieldbus technology at his greenfield S-SBR plant. Used in combination with the PRM asset management package, it allows the checking of each loop and control valve signature during the startup period. During normal operations, operators and engineers can see the status of all field devices from the central control room at any time. This new digital technology is changing how field operators work and will make possible a proactive maintenance approach that will allow AKSS to reduce OPEX."